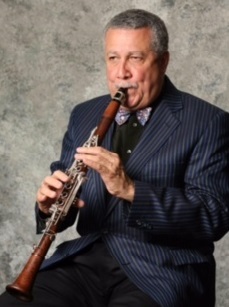 Join Paquito D’Rivera for a free guided listening session. 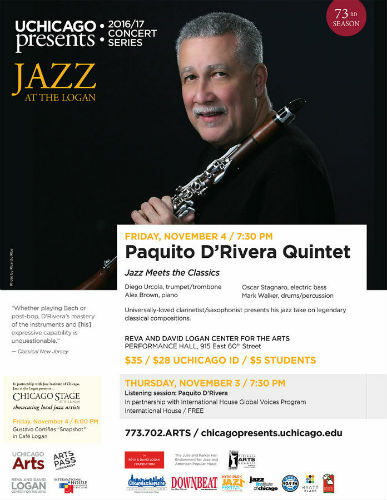 D'Rivera will be participating in a facilitated conversation with Ben Waltzer, sharing examples of music that shaped his career and answering questions from the audience.This hour-long session occurs the day before the universally-loved clarinetist and saxophonist plays his intriguing blend of jazz, classical and Afro-Latin influences that garnered his 14th GRAMMY award and 2015 Best Latin Jazz album at Logan Center. Click here to watch a performance by D'Rivera. Presented by the Global Voices Performing Arts Series and UChicago Arts.